The Rare Breed Survival Trust has five criteria for rare breed Sheep, based upon how many registered breeding females (called ewes) are left. This criteria varies for each type of animal. At risk: Between 900 and 1500 breeding ewes remaining. These sheep were bred from Moorit Shetland, Manx Loghtan and wild Moufflon sheep in the park of Castlemilk in Dumfriesshire, Scotland. What makes the Castlemilk Moorit so special? Castlemilk Moorit fleece has little or no kemp and is highly prized by hand spinners. How would children identify Castlemilk Moorit? They are light tan, or Moorit in colour. They have short, tight wool, which is popular for hand spinning. They are naturally short tailed and long legged. Minority: Between 1500 and 3000 breeding ewes remaining. 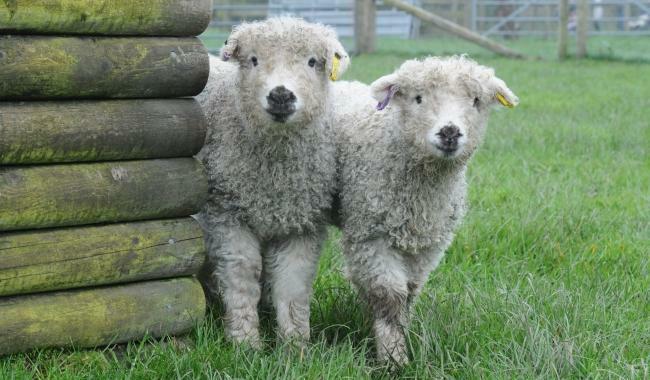 These sheep are descendants of the native heath sheep of southwest Britain. 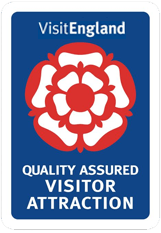 What makes the Greyface Dartmoor so special? They are very friendly and easy to handle and they are polled (no horns). How would children identify Castlemilk Moorit Sheep? Children on a day out would recognise the Greyface Dartmoor as they are deep bodied, short legged with a well woolled head and legs. They have mottled, spotted black and grey muzzles and produce a heavy fleece of curly lustre wool. Vulnerable: between 500 and 900 breeding ewes. This breed was derived from the valley called Woodland, which links Derwent and Ladybower to the Snake Pass and Glossop in the Peak District. What makes the Whitefaced Woodland so special? They are a hardy breed of sheep that adapts well to all conditions. The ewes have a good mothering instinct, producing strong lively lambs. The wool is of very fine quality, and is much sought after, not only for its natural colour but also for its ability to take any dye colour. Minority: between 1500 and 3000 breeding ewes. This breed originates from the Tywi valley in Wales. What makes the Balwen Sheep so special? Wales was hit by the very severe British Winter 1946-1947 and the breed was nearly wiped out- there was only one ram which was amongst the survivors, can you believe it? 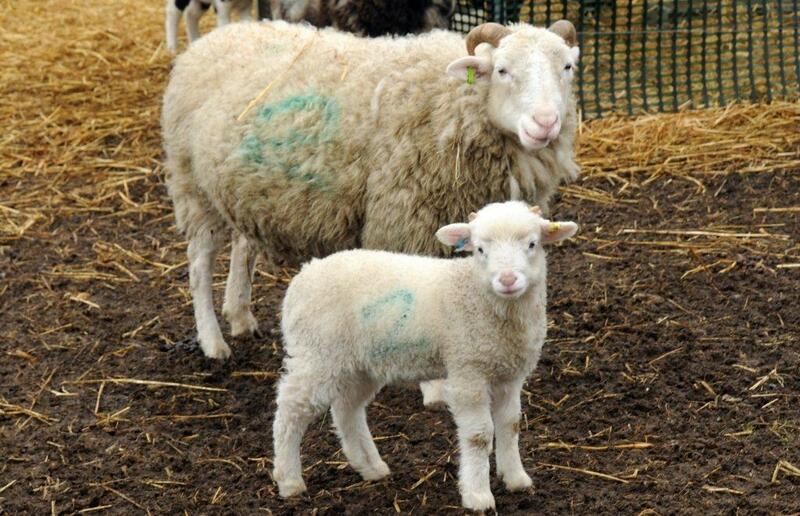 How would children identify the Balwen Sheep at Odds Farm Park? This Sheep has a base color of black which fades to brown especially in sunlight and it normally turns grey when ageing. You will recognize it with a white blaze on its face including its feet and half of its tail. The male sheep will have horns whilst the females are naturally polled. 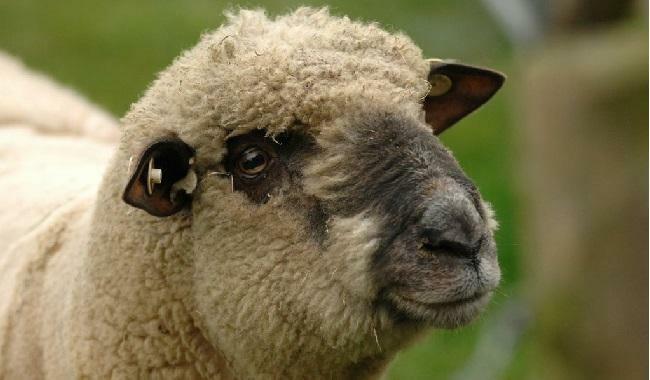 Balwen Sheep are amazing? Children did you know? The Balwen sheep is raised primarily for its meat. This Herdwick Sheep is not currently under threat. The Herdwick Sheep is native to the lake district of Cumbria in North West England. What makes the Herdwick Sheep so special? Children did you know that the Herdwick Sheep is bred so that they are tough enough to survive the cold weather. How would children identify the Herdwick Sheep? The Heredwick Sheep has a long muscular shape. It is covered in heavy wool with an insulating undercoat of fine wool, perfect for the winter weather. 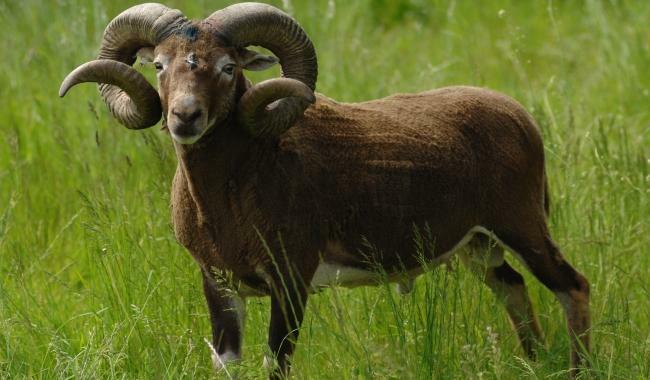 A ram can have a horn and is butch and masculine whilst the females don’t have any horns. The Herdwick Sheep have strong bones as it’s a mountain going sheep. Herdwick Sheep are amazing. Children did you know? They have a special resistance to disease. This Jacob Sheep has recently increased in numbers and is not currently under threat. 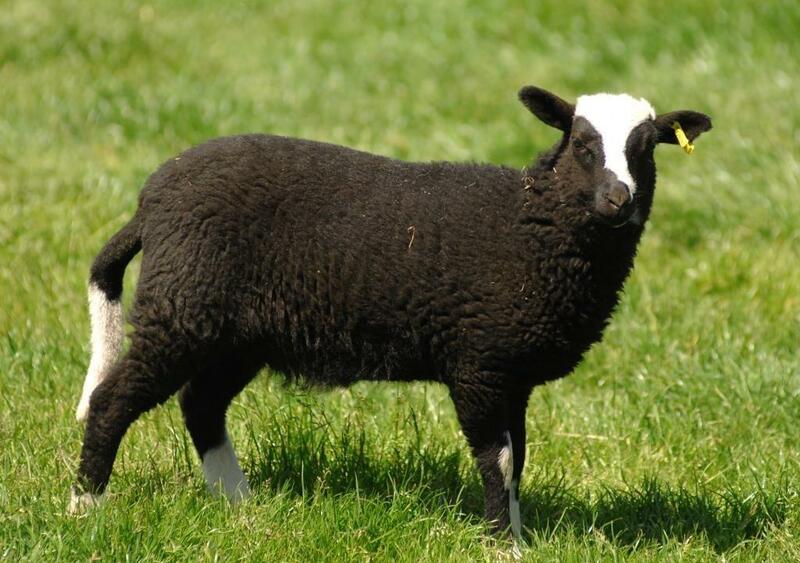 The Jacob Sheep is originally dates back to the Mediterranean and known to be in the UK as far back as the 1750s. Now the British Isles has ca. 6500 breeding sheep. 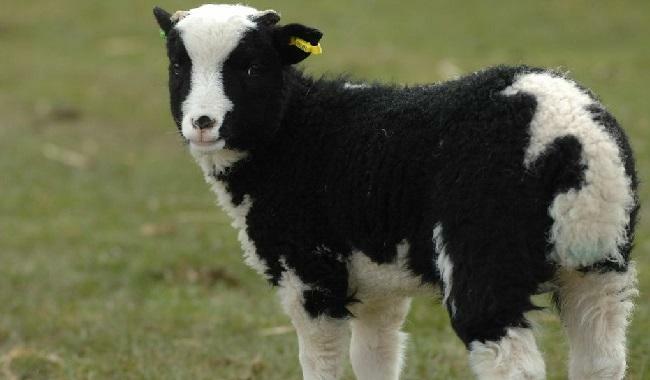 What makes the Jacob Sheep so special? The Jacob sheep is special because their un-dyed unbleached wool is in demand by the fashion industry. How would children identify the Jacob Sheep? The Jacob Sheep is small but both the male and female have many large horns. They usually have 2, 4 or 6 horns each. This breed has a black and white face and you will notice that they have spotted bodies. 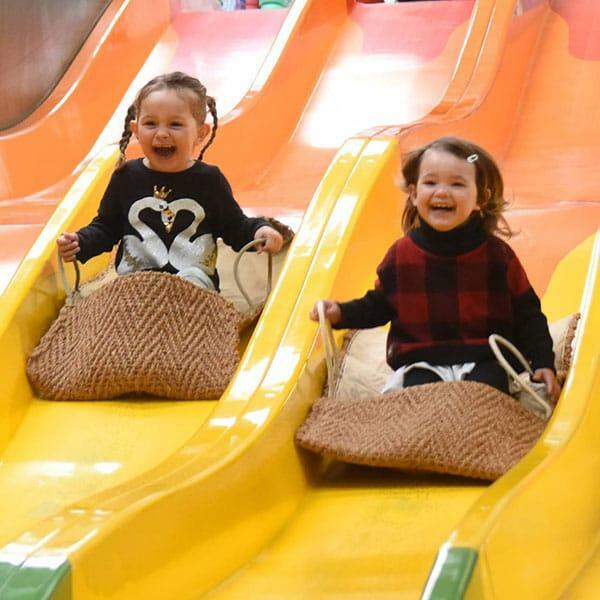 Their wool is usually white covered in black or greyish marks. They also have brown, blue or beautiful marbled eyes and small ears. The Jacob Sheep are amazing. Children did you know? The name of this breed comes from the biblical story of Jacob (Genesis) from the Old Testament and their appearance has helped them become popular in the UK, US and Canada. This breed was developed during the 1800s in Oxfordshire and the surrounding areas. What makes the Oxford Down Sheep so special? 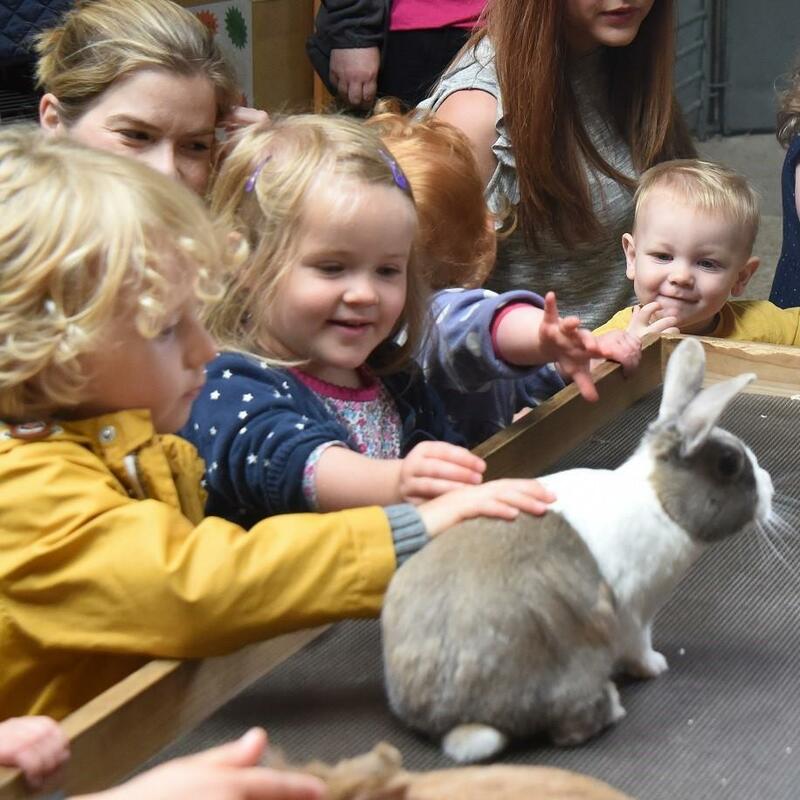 Children will love The Oxford Down Sheep it is a quiet breed and is generally good natured. Children will love these adorable cuddly sheep’s. How would children identify the Oxford Down Sheep? 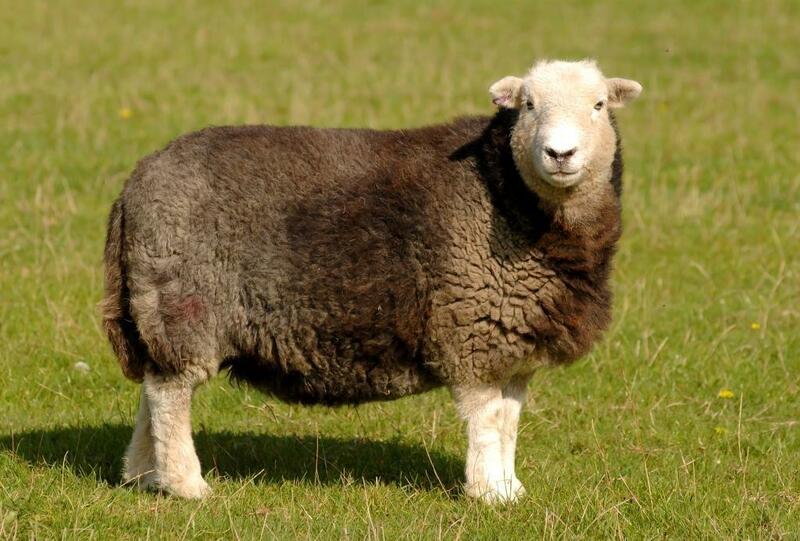 The Oxford Down Sheep is the large and heavy British Sheep. It has a huge powerful build and has a large body. You can spot them as they have a brown face and brown legs and they are covered in white wool which normally has a short fleece. You will notice that they have beautiful large prominent eyes. The Oxford Down Sheep are amazing. Children did you know? The Oxford Down is one of the heaviest and largest breeds.